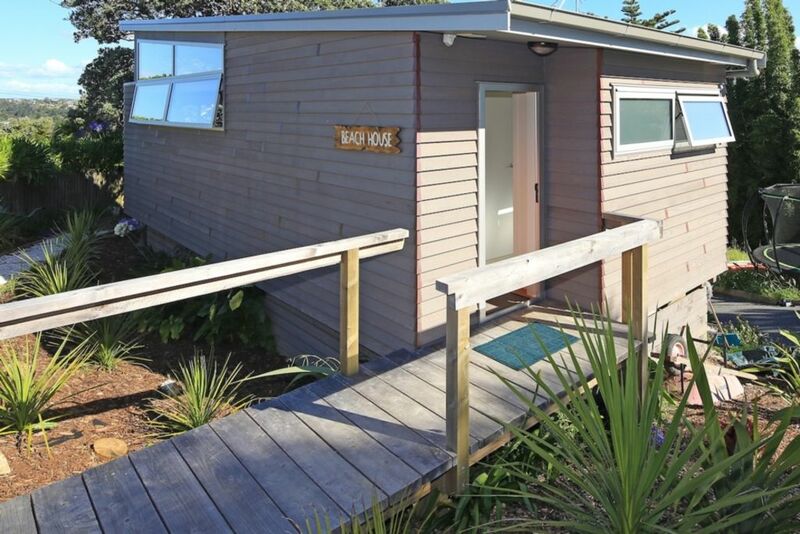 Tutiri is a brand new self contained studio situated minutes from the main village of Oneroa, the beach and passenger ferry. Positioned in a quiet, peaceful location, and close to all amenities, this property makes a great base from which to explore the island . Tastefully decorated in a modern relaxed style, with a bright and spacious feel - you will be sure to enjoy your Island escape in this lovely property. This spacious studio has a queen sized bed, comfortable seating area with a flat screen TV (freeview and DVD player), new bathroom, kitchenette with small fridge, microwave, dishwasher, kettle, toaster, crockery and cutlery. Everything you need to enjoy your Waiheke getaway! Ideal accommodation choice for functions at Mudbrick, Cable Bay, Lavender Hill, other Oneroa venues.